On Friday, I wrote about how my main goal for the Blue Moon Wicked 10K in Virginia Beach was to have fun, and to reignite my training for the Philadelphia Half Marathon in November. I’m happy to report that at this awesome, light-hearted 10K, it’s almost physically impossible to not have fun. We’ve all run races at which people wear costumes. But holy cannoli, I’ve never seen costumes like these before at a race! I succeeded in executing the relaxed training run I hoped for, sticking to an easy 10-minute mile pace for most of the race. I dropped down to a nine-minute mile pace for the last mile, and sprinted to the finish feeling strong. 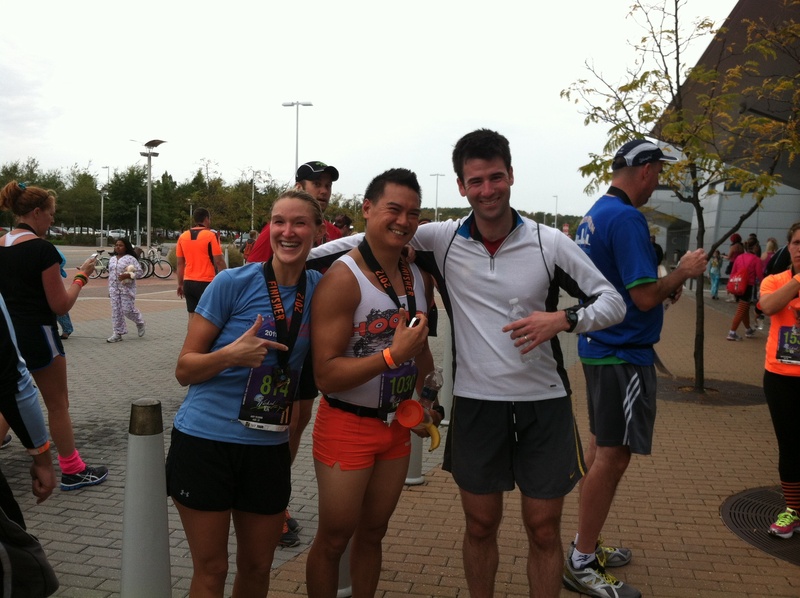 I chatted with runner-friends I saw on the race course. I high-fived a dude in a giant gorilla suit. I shouted out words of approval to runners whose costumes I particularly enjoyed. In short, I had an absolute blast. And that was just the race itself—the post-race party was even more amazing! 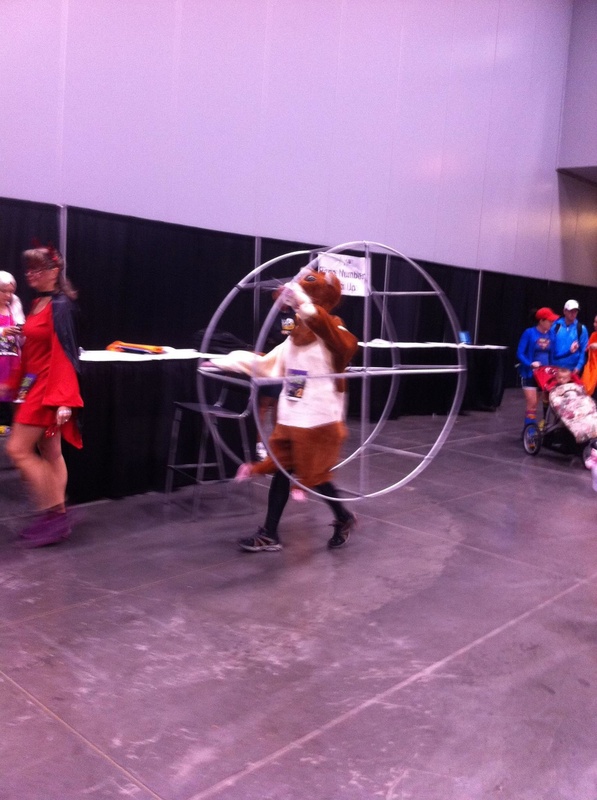 It was held in the Virginia Beach Convention Center thanks to Hurricane Sandy, whose whirling winds were the only downside to this incredible race. By the way, a word about the wind: This was the first time I ran in winds so strong, I spent entire miles kicking myself because the wind slapped one foot into the other leg. At one point, I tried to draft a dude wearing a giant cardboard box on his torso (he was a wrapped gift), only to have the wind direction change, nearly slamming me into him. Whew! Back to the party, though. The band was terrific. The Halloween decorations were spooky and awesome. 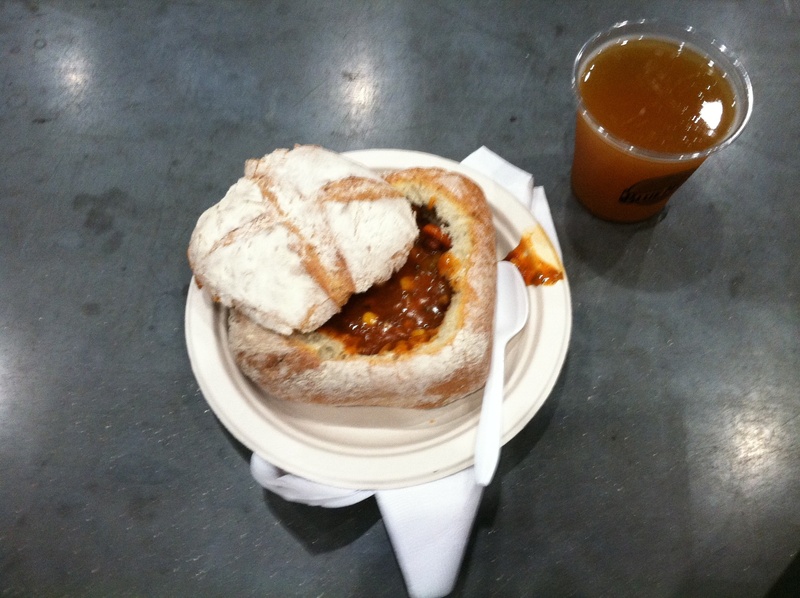 The vegetarian chili was absolutely delicious. And the Blue Moon flowed like water. Once I got home and digested a bit, I ran two more miles so this could count as my long run for the week. And you know what? Those two extra miles felt great! I spent the rest of the day feeling happily sore, and feeling confident that I’ll have a similarly fun day in Philadelphia in a few weeks. Now that I’m turning my focus toward Philly, I’m looking for advice and insight from people who have run that race before. Any tips you can pass along? Any secret hills I should be aware of? If so, let me know by posting a comment below. So glad you had fun! I swear, that race has the best costumes ever! Sounds like a really fun race! Maybe I should add it to my “must do” list (in a costume, of course). The Blue Moon race sounds fantastic and you seem in good shape for Philadelphia! YAY!!! 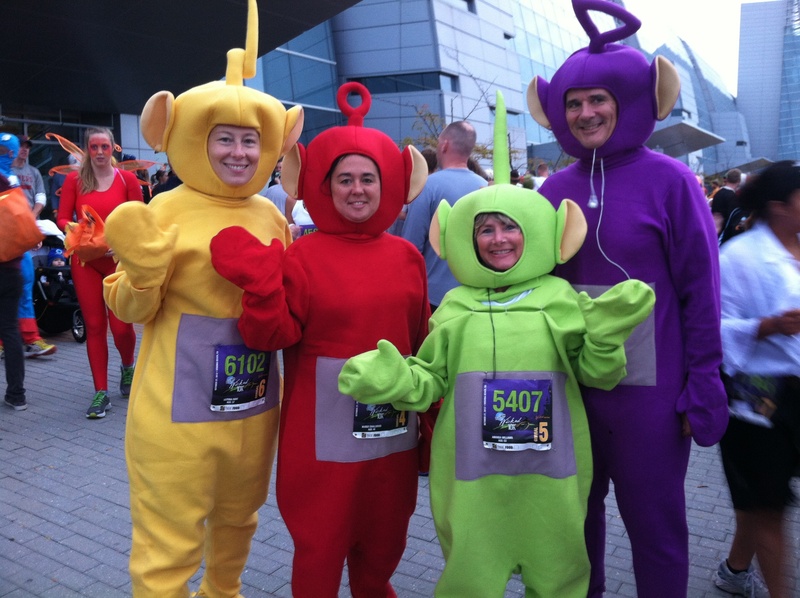 My husband, 2 of our friends and I were the Tellitubbies and it is a blast to get in costume, go for it next year.